Belize's economy depended on forestry until well into the 20th century. Logwood, used to make dye, was Belize's initial main export. However, the supply outstripped the demand, especially as Europeans developed man-made dyes which were less expensive. Loggers turned to mahogany, which grew in abundance in the country's forests. The wood was prized for use in cabinets, ships, and railroad carriers. While many merchants and traders became wealthy from the mahogany industry, ups and downs in the market had a large impact on the economy. In addition, new mahogany trees weren't being planted, because mahogany trees grow slowly; the rate of natural regrowth necessitated a large, long-term investment in tree farming, which was not made. As the 19th century progressed, loggers were forced to go deeper into the forests to find the trees, increasing labour costs. Variations of mahogany exports over long periods of time were linked to the accessible supply of the resource. Thus, improvements in hauling methods helped the cutters satisfy increasing demands for mahogany by enabling them to extract timber from areas in the interior that had been previously inaccessible to them. Immediately after the introduction of cattle in the early 19th century, tractors in the 1920s, and lorries in the 1940s, production levels rose dramatically. When the supply of accessible timber dwindled and logging became too unprofitable in the 20th century, the country's economy shifted to new sectors. Cane sugar became the principal export and recently has been augmented by expanded production of citrus, bananas, seafood, and apparel. The country has about 8,090 km² of arable land, only a small fraction of which is under cultivation. To curb land speculation, the government enacted legislation in 1973 that requires non-Belizeans to complete a development plan on land they purchase before obtaining title to plots of more than 10 acres (40,000 m²) of rural land or more than one-half acre (2,000 m²) of urban land. Ports in Belize City, Dangriga, and Big Creek handle regularly scheduled shipping from the U.S. and the United Kingdom although draft is limited to a maximum of 10 feet in Belize City and 15 feet in southern ports. International air service is provided by Westjet, American Airlines, Delta Airlines, Continental Airlines, Southwest Airlines, U.S. Airways, and TACA to/from gateways in Toronto, Dallas, Texas, Houston, Texas, Charlotte, North Carolina, Miami, Florida, and San Salvador. A combination of factors—climate, the Belize Barrier Reef (longest in the Western Hemisphere), 127 offshore Cayes (islands), excellent fishing, safe waters for boating, scuba diving, and snorkeling, abundant jungle flora and fauna, and numerous Mayan ruins—support the thriving tourism and ecotourism industry. Development costs are high, but the Government of Belize has designated tourism as its second development priority after agriculture. In 2011, tourist arrivals totaled 888,191 (mostly from the U.S.) and tourist receipts amounted to $260 million. The travel and tourism industry in 2011 directly contributed 350.6 million BZD (176 million USD) to Belize's GDP (12.0% of GDP). This primarily reflects the economic activity directly generated by industries supported by tourists, such as hotels, restaurants, leisure industries, travel agents, airlines and other transportation services. The total contribution to GDP in 2011 (including wider effects from investment, the supply chain, and induced income impacts) was 971.9 million BZD (486 million USD) (33.2% of GDP). Travel and tourism directly generated 14,500 jobs in 2011 (10.9% of total employment) and, including indirect and induced effects, supported 40,000 jobs (30.1% of total employment). Belize's economic performance is highly susceptible to external market changes. Although moderate growth has been achieved in recent years, the achievements are vulnerable to world commodity price fluctuations and continuation of preferential trading agreements, especially with the U.S. (cane sugar) and UK (bananas). Belize continues to rely heavily on foreign trade with the United States as its number one trading partner. Total imports in 2000 totaled $446 million while total exports were only $349.9 million. In 2000, the U.S. accounted for 48.5% of Belize's total exports and provided 49.7% of all Belizean imports. Other major trading partners include the European Union, Canada, Mexico, and Caribbean Community (CARICOM) member states. Belize established a preferential trade agreement with Guatemala in 2010. Belize aims to stimulate the growth of commercial agriculture through CARICOM. Belizean trade with the rest of the Caribbean is small compared to that with the United States and Europe. Belize is a beneficiary of the Caribbean Basin Initiative (CBI), a U.S. Government program to stimulate investment in Caribbean nations by providing duty-free access to the U.S. market for most Caribbean products. Significant U.S. private investments in citrus and shrimp farms have been made in Belize under CBI. U.S. trade preferences allowing for duty-free re-import of finished apparel cut from U.S. textiles have significantly expanded the apparel industry. EU and UK preferences also have been vital for the expansion and prosperity of the sugar and banana industries. In 1990, Belize enacted the International Business Companies Act based on the British Virgin Islands model. In ten years, Belize has registered more than 15,000 IBCs. A Belizean IBC is a corporate vehicle for international financial transactions and allows the investor to engage in activities including asset protection, operating bank accounts, brokerage accounts, ship ownership, and commission arrangements. The IBC legislation was supplemented in 1992 with the enactment of a Trusts Act which provides for both onshore and offshore trusts. The IBC Act was introduced in 1990 to implement competitive offshore legislation for Belize IBCs which was subsequently amended to reflect the changes required to provide efficient Belize offshore services. Belize incorporation is very efficient under normal circumstances, a Belize IBC can be incorporated in a couple of working days. The documents for Belize offshore Incorporation do not carry the name or identity of any shareholder or director. The names or identities of these persons do not appear in any public record. According to the IBC Act of 1990, offshore companies are exempted from all taxes. (PPP) 0.20 Bln. 0.29 Bln. 0.62 Bln. 0.94 Bln. 1.36 Bln. 1.98 Bln. 2.14 Bln. 2.22 Bln. 2.34 Bln. 2.37 Bln. 2.48 Bln. 2.59 Bln. 2.73 Bln. 2.80 Bln. 2.96 Bln. 3.11 Bln. 3.13 Bln. 3.21 Bln. ^ "World Bank forecasts for Belize, June 2018 (p. 152)" (PDF). World Bank. Retrieved 11 September 2018. ^ a b c "Statistics of the Nation". Statistical Institute of Belize. Retrieved 5 April 2017. ^ "Labor Force, Total". The World Bank. Retrieved 29 November 2014. ^ "Ease of Doing Business in Belize". Doingbusiness.org. Retrieved 2017-01-24. ^ "Export Partners of Belize". CIA World Factbook. 2015. Retrieved 2017-04-05. ^ "Import Partners of Belize". CIA World Factbook. 2015. Retrieved 2017-04-05. ^ "Sovereign Ratings List". Standard & Poor's. January 6, 2017. Retrieved November 28, 2014. ^ Burnett, John (2006). Maya Homeland. Large Oil Field Is Found in Belize; the Angling Begins, 4 January 2007. ^ a b "Belize:Agriculture". Nations Encyclopedia. Archived from the original on 28 September 2008. Retrieved August 30, 2008. ^ "Doing Business in Belize: 2012 Country Commercial Guide for U.S. Companies" (PDF). U.S. Commercial Service, U.S. Department of Commerce. Retrieved 26 November 2012. ^ "BELIZE Travel & Tourism Economic Impact Report 2012" (PDF). World Travel & Tourism Council. Archived from the original (PDF) on 2012-05-31. Retrieved 2012-11-29. ^ "Report for Selected Countries and Subjects". Retrieved 2018-09-25. Tariffs applied by Belize as provided by ITC's Market Access Map, an online database of customs tariffs and market requirements. The economy of the British Virgin Islands is one of the most prosperous in the Caribbean. 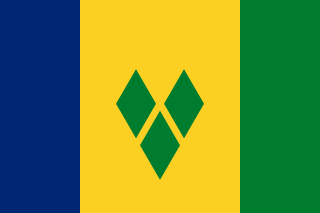 Although tiny in absolute terms, because of the very small population of the British Virgin Islands, in 2010 the Territory had the 19th highest GDP per capita in the world according to the CIA World factbook. In global terms the size of the Territory's GDP measured in terms of purchasing power is ranked as 215th out of a total of 229 countries. The economy of the Territory is based upon the "twin pillars" of financial services, which generates approximately 60% of government revenues, and tourism, which generates nearly all of the rest. The economy of Seychelles is based on fishing, tourism, the processing of coconuts and vanilla, coir rope, boat building, printing, furniture and beverages. Agricultural products include cinnamon, sweet potatoes, cassava (tapioca), bananas, poultry and tuna. Belize is a small Central American nation, located at 17°15' north of the equator and 88°45' west of the Prime Meridian on the Yucatán Peninsula. It borders the Caribbean Sea to the east, with 386 km of coastline. It has a total of 542 km of land borders—Mexico to the north-northwest (272 km) and Guatemala to the south-southwest (266 km). Belize's total size is 22,966 km², of which 22,806 km² is land and 160 km² is water.